Duncan Pritchard (pictured above) is Professor of Philosophy at the University of Edinburgh and Director of the Eidyn research centre. In this post, he summarises his paper on epistemically useful false beliefs, which is forthcoming in a special issue of Philosophical Explorations on false but useful beliefs. The special issue is guest edited by Lisa Bortolotti and Ema Sullivan-Bissett and is inspired by project PERFECT's interests in belief. It seems relatively uncontroversial that false beliefs can often be useful. For example, if one’s life depends on being able to jump that ravine, then it may be practically useful to have a false belief about how far one can jump. In particular, that one overestimates one’s jumping ability may well give one the confidence needed to wholeheartedly attempt the jump. Having an accurate conception of one’s abilities in this regard, in contrast, might lead one to falter, thereby consigning oneself to certain death (rather than possible escape). Moreover, notice that this utility needn’t be a one-off, in that one could imagine cases where it is systematically advantageous to have certain false beliefs (perhaps one occupies an environment where overestimating one’s abilities is regularly conducive to one’s survival). The question that concerns me, however, is whether there is a philosophical significant class of false beliefs that are specifically epistemically useful. The reason why this is an interesting question is that it is part of the very nature of the epistemic that it is concerned with the promotion of truth and the avoidance of error. With that in mind, how could a false belief be epistemically useful? We need to refine our question a little here, which is why I am focussing on whether there is a philosophically significant class of false beliefs that are epistemically useful. The reason for this is that there are clearly some uncontroversial cases where false beliefs are epistemically useful. In making a calculation, for example, having a false belief might help one to gain a correct result because it cancels out a previous error. What would be philosophically interesting, however, and potentially in tension with our traditional view of the nature of the epistemic, would be whether this epistemic utility could be sustained over the long-term. In particular, what we are interested in is whether false belief can ever be systematically epistemically useful. In the paper I approach this question in a piecemeal fashion by considering a selection of cases which might look like plausible examples of false beliefs that are systematically epistemically useful. 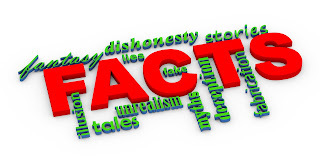 The first concerns the kinds of strictly false claims that are sometimes employed in scientific reasoning, such as appeals to idealisations (like the ideal gas law). I argue that when we look at these cases more closely, however, it isn’t credible that having a false belief specifically (as opposed to, say, accepting a false proposition) is systematically generating epistemic value. The second concerns epistemic situationism. This argues that often what is generating our cognitive successes has more to do with incidental features of our environment rather than the operation of our cognitive abilities. The reason why this view is relevant for our purposes is that it opens up the possibility that we might have false beliefs about the nature of our cognition and yet this nonetheless be actually conducive to being a good cognisor. Again, I don’t think that such cases stand up to scrutiny. In particular, it is hard, on closer inspection, to determine a specific false belief on the part of the subject that is systemically leading to epistemic utility. Finally, third, I look at the Wittgensteinian notion of a hinge commitment. These are held to be commitments that one is required to have if one is to be a rational subject at all, but which can never themselves be rationally grounded. A possible upshot of this idea is that having hinge commitments is epistemically useful even if they are false. The problem here, however, is that once we understand what is involved in the notion of a hinge commitment, then it becomes hard to take seriously that they are genuinely beliefs at all, at least as epistemologists normally understand this propositional attitude (which is, of course, the conception of belief that is relevant for our purposes). Of course, that these three particular views fail to offer us bona fide philosophically interesting cases of epistemically useful false belief does not demonstrate that there can be no such cases. Such is the drawback of adopting a piecemeal approach to the issue. But I think that in examining these sample cases we nonetheless do gain a good basis for being at least highly sceptical about the possibility of such cases.